A matte liquid foundation with only one shade! This also features SPF 24 which is good because we all need sun protection especially on our face. Handy yellow tube type. It is very summer like. Yellow symbolizes the sun of course! :) The pump is a fail because the one I've got is not working and no product is dispensed out. I had to open the cap every time I need to use it err.. frustrating. 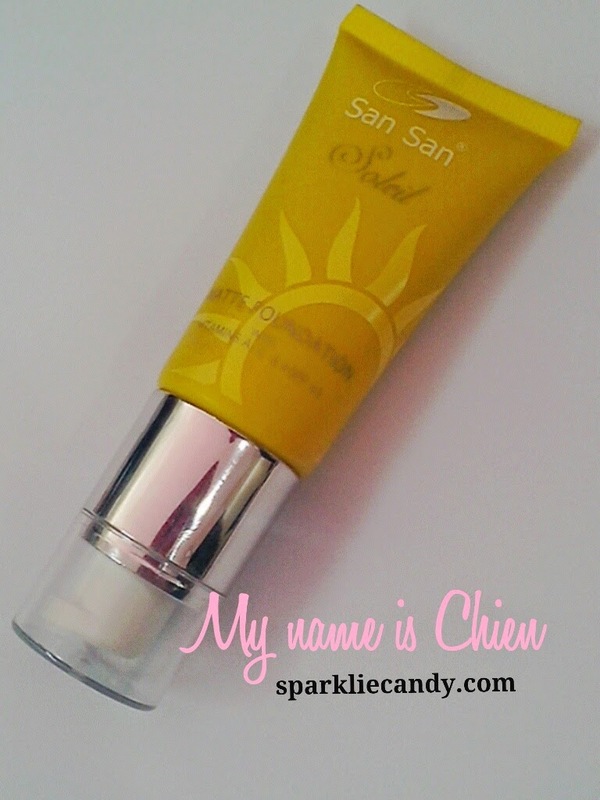 First thing I noticed with San San Soleil Matte Foundation is the scent. It smells like Bear Brand milk. Next is the color. I am glad that it is yellow toned so it fits most Pinays. I use my fingers in application just like what I do with bb creams. The coverage is awesome. One application is enough to cover pesky spots. I feel instantly flawless after usage. However I hate how sticky it is. Its hard to spread the product. I always make sure I use moisturizer prior to applying. It is also messy, I really had to make an effort in washing my hands because the product won't come off easily. Because of the thick consistency I stopped using it on my face after a week. I am afraid that it somehow block pores because I broke out a little. Also in comparison to other face foundations I've tried this does not melt pretty, no glow or whatsoever. Reapplication is a must or you will look like a greaseball. I tried using this on my legs (I am quite a fan of leg foundations) and i'ts a winner. The full coverage covers up dark spots in an instant. Thumbs up for being a multi-purpose product. I never tried this on flash photography but it was okay on natural lighting. Best applied using fingers. It will be hard to clean tools with this foundation. *might post pictures if I get my hands on my foundie again. I've left it with a friend of mine. I'm missing this tube for weeks now.